Okay, to tackle this topic, we have to take off our pretty-people mindsets, and get straight to the heart of one of our most disgusting and deplorable qualities. This quality is found in most women, fed by social media and any other thing that feeds the comparison trap in our lives. It is both contagious and contaminating, bringing ruin to beautiful relationships and leaving regret in many lives. This quality is known to plant roots of bitterness which yield a crop of bad behavior, and after its harvest, there is left behind a darker darkness where light had once shone brightly. If you weren’t already thinking of someone, my guess is that it didn’t even take to the count of three to have someone come to mind. When you imagine that person (probably another woman), you may be playing a familiar reel in your mind that excuses your thought-life and lies to you, giving you permission to maintain that stronghold that is holding its ground in the place of life and rebirth that could otherwise open up within your very own spirit. Jealousy does NOT have to rule the mind. Recognize it for what it is: LOUSY. It needs to be identified as such and given the attention that is needed for its uproot and removal. It is not hurting anyone else so much as the one whose mind is given over to its resting place. The reason for addressing this is to free those of us who want to be free. Jesus can do that, you know. So let’s get to it. Currently, my kids and I are going through the Old Testament, using a phenomenal resource that includes every story in the Bible, both Old Testament, New Testament, parables, etc. If there is a story in the Word, then it is included! There are 400 stories, 1500 images, and we are having rich and real discussions. I loved that it took a full week of stories just to get through the life of Abraham, for example. This allows us to get the good, bad, and ugly of every person’s life, seeing clearly the constant Truth that God’s Love and Patience for His children is FAR GREATER than His hatred of sin. He continues to reveal our own inabilities in the mirror of these families as we read, and it causes us to desire His presence daily and sends us into deep expressions of gratitude for His Love and Salvation. Show the full man and woman on the Bible’s pages, and you will see their lack. Always. Our constant phrase when we read the hard-to-read moments in these people whom we would rather idolize is this: Seeing their weakness shows us that God loves us more than He hates our sin. Now let me tell you why I have been thinking a great deal this month about women and jealousy. I’m sure you know that she was an old woman when she became pregnant with Abram’s son, Isaac. You may know how God changed the name Abram “father” to Abraham “father of many nations,” both of which seemed completely impossible throughout his lifetime. You may know that God changed the name Sarai, “My Princess” (Elsdon C. Smith suggested that the name princess in the form of Sarai implied a sense of quarrelsome) to Sarah, “The Princess,” implying a “chieftainness quality” as a royal woman in the presence of many (nations), and Isaiah even gives reference to the word as “queen.” In either case, if only she would have held to the constant that she was God’s, and that He keeps promises, even those most delayed. You may even know that God named Isaac “laughter” because Sarai laughed in such disbelief. That she would be giving birth to what she had dreamed about and believed for so long, after standing by her husband while he too believed, and now finally receiving the promise…. at 90 years of age! Maybe I’d laugh too! Perhaps her laugh of “you’ve got to be kidding me” turned into laughter of feeling young and hopeful, purposeful again. Perhaps she even laughed sadly at herself for her choices and former behavior, and then laughed a deep cleansing freedom in the fact that God DOES actually keep His promises often IN SPITE of — in spite of her distrust and sin. Sin? Sarai? Really? But she was the mother of many nations. If only she would have believed that “My” meant God’s and that in His holding, being His is more than enough. More. Than. Enough. If only she had held onto the fact that His Promises would come to pass with no need to add to or take away, due to her struggles with impatience or doubt. But alas! Before her name was changed to Sarah, and before she felt a babe alive inside her own womb, she suggested to Abram that he impregnate her maidservant, Hagar, in order to have the promised son sooner. Maybe God’s promise would remain unfulfilled; it had been so long in coming. The bible tells us that once the barren Sarai saw Hagar’s womb growing this first son of Abram’s, Sarai was FILLED with jealousy. Filled. Flooded. To the full. Consumed. We want to shout at her, “It was your own doing!” Until we realize that …. (are you ready? Brace yourself) …. Have you had a dream that you believed God would fulfill in or through you? Something that you wanted to birth? You seem to be doing fine, until you looked around at other women. Maybe you watched another friend’s facebook timeline page tell your desired story, and you… feel… gypped. You see a form of a similar dream growing in someone else, and BAM! There it is. Ugh! I hate this among women, and we are so great at being so terrible, aren’t we? So terribly jealous. Our words begin in our minds, and soon they are spewing out in hushed conversations with other women, and for what? To delay God’s Promise over our own lives even longer? Because you know that’s what happens, right? If you don’t know, then just know that we can learn something terribly vivid from Sarai’s jealousy. Even when her God-Promise was fulfilled, her own personal celebration was as a lesser-than. The bible tells us that she was celebrating Isaac’s birthday, but saw Hagar and Ishmael there. When Ishmael (now age 12 or 13) mocked Isaac, Sarah was enraged and threw them out. She demanded that Abraham send them off for good this time (her comparison trap had already taken this road once). She could no longer stare into what was fueling her jealousy. Jealousy’s mirror of fire was present every time she looked at Hagar and Abraham’s first son, the place of honor meant for her. Only her. 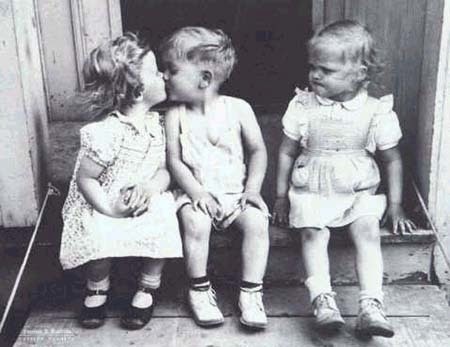 Jealousy is strong. When it is a stronghold, having “a strong hold” over the mind, there is great internal danger. Can you imagine God’s Promise in Sarah’s life coming to pass withOUT having to have already seen the secondary plan enacted which had yielded the ill-fruit of envy and fury? There would have been no dissatisfaction—only joy and gratitude over what God had done! The years of long awaiting? Satisfied. Perhaps this story played out in their lives to teach us today. Jealousy and impatience play together like a see-saw. Only this is not an apparatus you want your mind to ride. If it has, it’s time to dismount. Get off and play something that will bring joy. Trusting that God knows what is best for you and wants what is best for you is essential to your contentedness. 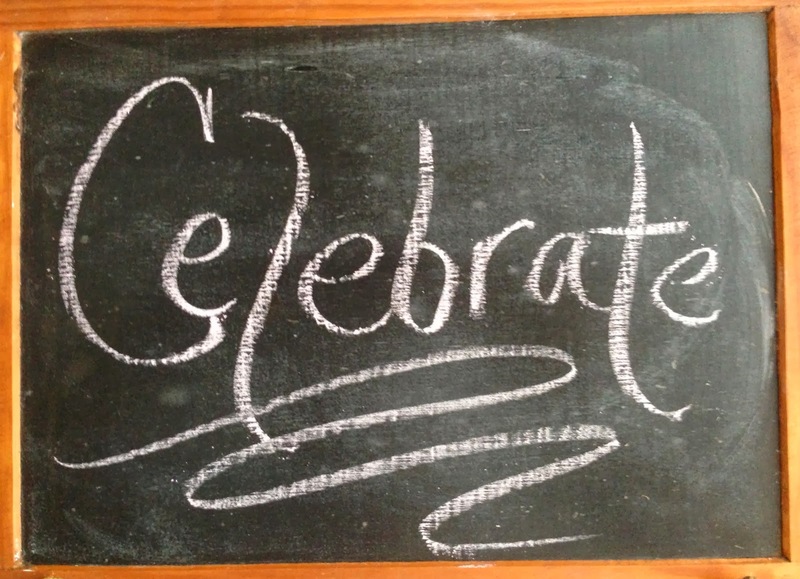 Contentedness breathes ease into your ability to celebrate. And celebrating those you have the tendency to envy will force jealousy into far distant places! Will you be able to endure loving your own child through their imperfections while someone else’s child may appear to be making the strides that you wished upon your own? Will you support the friend’s business that is taking off while yours is not? Will you be thankful for the body that you have and treat it as God’s temple, even if someone else’s is healthier, prettier, younger, or whatever yours may not be? Will you seek God with Hope, knowing that His perfect plan FOR YOU will come to pass in due time, and that there are reasons for the wait? We are alive on this earth for one purpose: to be conformed into the image of His Son, and God will use anything and everything to create His likeness in us. Over time, as your beauty in Christ grows, your promises-fulfilled will come. And as they do, they will come as a surprise and you will have such appreciation, gratitude… even laughter! Remember at the beginning of this post, when those persons immediately filled your mind at the mention of the word jealousy? Get down to the bottom of the root, and what do you find? . . . You. Jealousy comes from selfishness, and the cure for the stench of selFISHness is the sweet satisfaction of selfLESSness. So what is the best and most powerful remedy (mode of action)? 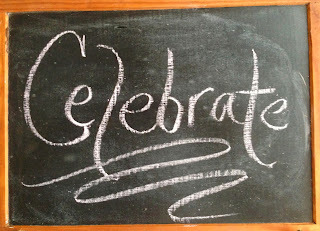 Celebrate them (in spite of your long list of reasons not to). Jealousy: Its name is LOUSY; don’t feed the beast. God’s Love for you is bigger than His hatred of your sin. God keeps His Promises, in His time and season. He knows what is best for you and wants what is best for you. He’ll use everything to conform you into the likeness of Jesus. You can walk in Life and Peace. Jealousy: throw it off with celebration! Hold on to the Promises God has, for you. And be thankful for all He has already done. So true and so precious that He still loves and wants to work through us, despite our sin…Thanks Ami! What curriculum do you use to go through the Bible? Sounds wonderful!